Barbara and Susan actually wrote the first edition of this book several years ago. This is a previously released book for them. This edition contains the original book plus new information. It is one of those books that got better with the new version because they are able to share more about their time as empty nesters now. They have learned and grown and I love that they stepped out to bring us a new version. I had not heard of the book before this one was released. The timing for me is perfect as we are quickly moving toward this phase of our lives in the next 6-8 years. The premise behind this book is to show us that we are not alone. Every mother, for the most part, will go through this at some point. I do realize that some will have a child at home for the duration of their lives due to extenuating circumstances but the majority will be releasing children into the world and facing an empty quiet home again with their husbands or possibly alone. 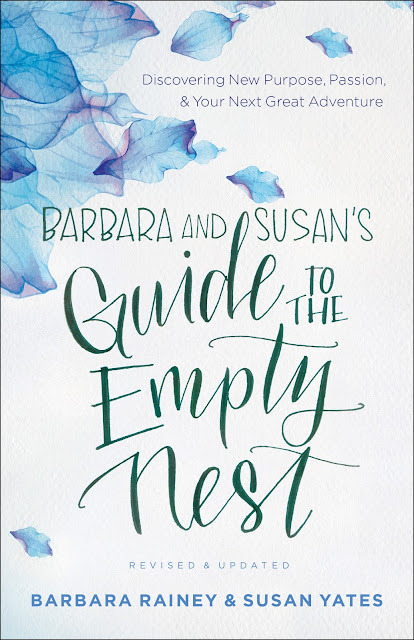 Another reason for this book is to equip us with tools to learn how to live in the empty nest phase of our lives. It is a resource you will go back to again and again I think. This book is so encouraging! Rainey and Yates share ways of coping with children leaving the home permanently. They have gathered personal stories from dozens of women who have gone before us and share how they are surviving and thriving in this new reality. There are a ton of resources, links, book recommendations and such to guide us through this time. Barbara and Susan share their own personal stories, too. They share how they have grown since the last writing of this text. It is all written from a Christian perspective on developing our mission and obeying God in our new walk without children. The key is to keep going. We must realize as much as our lives revolved around being a wife and mother that is not all we were created to be. There is a grand life after the children have gone on to have their own families. 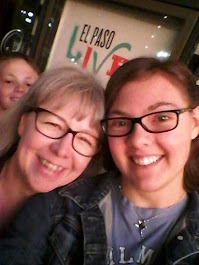 It is exciting for me, as we now have our first grandson, to see what a great phase of life being a grandmother will be. It is still more than that, though. I can have a whole ministry and mission that is all my own and Dan and I can have a new life together in a changed marriage and ministry. This is a brilliant book. I cannot recommend this book strongly enough! This book was the perfect read at the perfect time for me and I am so glad to be able to review and recommend this book to you. It was sent to me free of charge from Bethany House Publishing (a division of Baker Publishing). All they asked in return is that I read and give my honest opinion in a review for you. If you are anywhere near the empty nest phase of your life this is a MUST READ for you! I definitely give this one a 5 out of 5 and would recommend it to every single woman I know over a "certain" age.